Jointly funded by the Wolfson Foundation and the Department for Business, Innovation and Skills (BIS), the Wolfson Research Merit Award recognises talented scientists of outstanding achievement and potential. Professor Bashir Al-Hashimi and Professor Damon Teagle have received their awards in recognition of outstanding contribution to their respective fields. 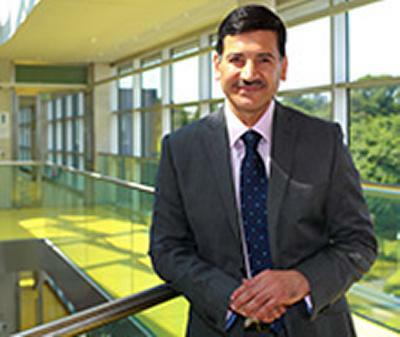 Professor Al-Hashimi, the founder and director of the University’s Pervasive Systems Research Centre as well as Associate Dean (Research) for the Faculty of Physical Sciences and Engineering, is leading the £5.6 million EPSRC programme called PRiME – Power-efficient, Reliable, Many-core Embedded systems. The project brings together four world-leading universities and five industrial partners, to address major research challenges in future high performance and low-energy embedded computing systems. Professor Al-Hashimi has a worldwide reputation for research into energy-efficient, reliable and testable digital hardware and has a strong track record of innovation in system-level power management and power-constrained testing of systems-on-chip used in handheld devices. Last year, he was elected as a Fellow of the Royal Academy of Engineering. He also has a long association with the innovative microelectronics group ARM, which sponsors his professorial chair and for whom he is the co-director of the ARM-ECS research centre. In an industrial and academic career spanning 25 years, Professor Al-Hashimi has authored 300 publications, authored, co-authored and edited five research books in topics ranging from electronic circuits simulation to low-power test of integrated circuits, system-on-chip to energy-efficient embedded systems. He is very proud of the career development of his students (successfully supervising 30 PhD theses), many of whom now hold senior positions in industry and academia worldwide. Damon Teagle is a Professor of Geochemistry and Director of Research for Ocean and Earth Science at the University of Southampton. He is also the Deputy Director (Research) of the newly-launched Southampton Marine and Maritime Institute. Professor Teagle has wide ranging scientific interests spanning economic ore mineralisation, atmospheric particles, to public understanding of environmental policy. He is expert in the formation and evolution of the ocean crust, which covers more than 60 per cent or our planet, and the influence of hydrothermal seawater-basalt exchange on global chemical budgets, such as the carbon cycle and the chemistry of the oceans. His Royal Society Wolfson Research Merit Award is to further understanding of the timing, duration and extent of exchange on the vast ocean ridge flanks through radiometric dating of hydrothermal minerals recovered from the ocean floor by scientific ocean drilling. He adds: “Volcanic eruptions and spectacular black smoker vents at the mid-ocean ridges receive much attention because they are dynamic and photogenic environments; assuming you have a submarine or remotely operated vehicle to hand. Professor Teagle has been heavily involved in scientific ocean drilling for more than 20 years and has served as Co-Chief Scientist on three ocean drilling expeditions and sailed on a further five cruises. He is one of the principal proponents of the MoHole to Mantle project to drill completely through the ocean crust and directly sample the upper mantle. He co-wrote new science case for the next phase of international collaboration for ocean drilling (IODP 2013-2023) that led to its successful renewal and is Chair of the NERC UK-IODP Programme Advisory Group. 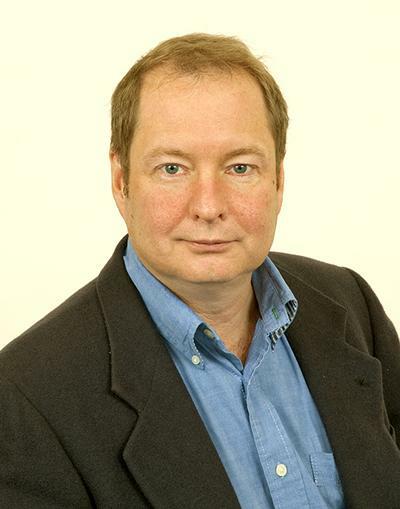 In 2013, Professor Teagle led the successful £6.3m University of Southampton-led NERC Doctoral Training Partnership “SPITFIRE” that will train more than 100 environmental researchers and recently was a lead proponent on the £3 million Engineering and Physical Sciences Research Council (EPSRC) Capital for Great Technologies Bid in Autonomous systems.